A few book reviews to do. The first will appeal only to the super-geeks like myself. Published in 1916, The Men's Factory-Made Clothing Industry is a report on the cost of producing men's clothing produced by the U.S. Department of Commerce, and can be found on Google Books. "The imports of clothing into the United States are almost negligible and are generally English overcoats, novelty garments like the Balmacaan, and golfing and motoring clothes. No sack suits are imported. English ready-made clothing is not comparable with the American. The English hand tailoring is poor, except in the finest custom work. Very conservative styles of men's clothing are worn in England; the models do not change from one season to another as they do in this country. High-salaried designers [ahem] are employed by the larger clothing factories in the United States, who are constantly introducing attractive styles. 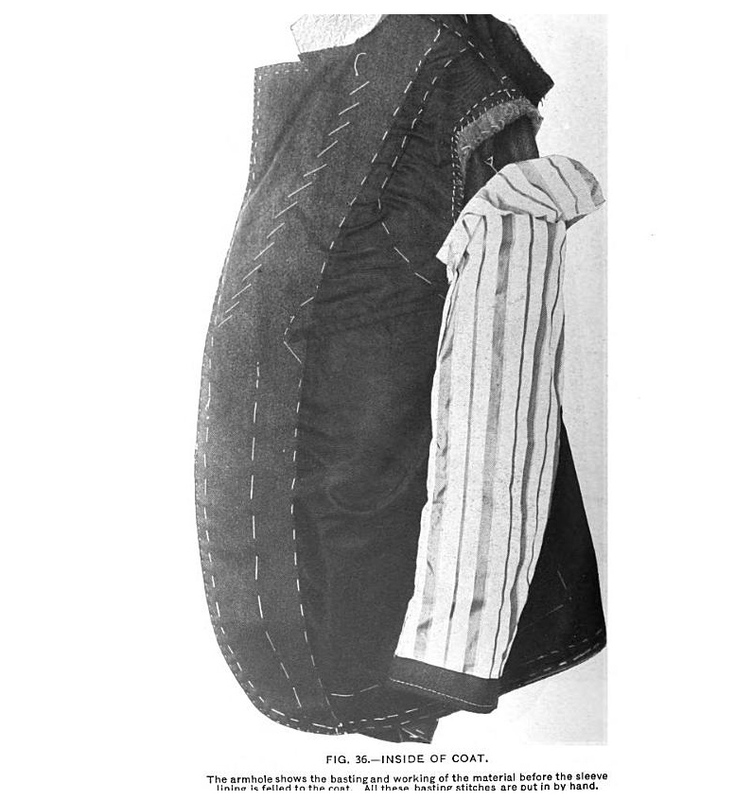 American people believe not only that the styles of clothing for men that are originated in the United States are superior to those that come from other countries, but also that the workmanship of the domestic product is superior to the workmanship on ready-made clothing produced in foreign countries. This belief accounts, in a measure, for the tremendous increase in the production of factory-made clothing in the United States during the last 20 years. While the manufacture of ready-made clothing is one of the large industries in the United States, this industry is of comparatively small importance in other countries. The completeness of the factory equipment, the thoroughness of the factory organization, and the efficiency of the working force, which are noticeable in many establishments for making men's clothing in this country, are not even approached in other countries. Nearly all the ready-made clothing manufactured in Europe is of low-grade, cheap varieties, and is almost invariably manufactured in small factories, in shops, or in the homes of the workers." I knew that the method of manufacturing by breaking down the process into minute operations had originated in the U.S. and had been exported to Europe, but was a bit startled by the assertions about the level of quality, mainly because the reverse is often true today. In retrospect, however, it makes perfect sense. But taking it into a larger context, we can trace the progression of the source of quality goods from the U.S., then to Italy who has held the crown since Brioni started to push the "Made in Italy" brand back in the fifties, and now it's moving to China. Many people still associate Chinese-made product with inferior quality, just as Japanese electronics were once considered junk, but those of us who have actually visited facilities in China know that they are not far off from the potential of eclipsing Italy in terms of production of quality garments. I hope I'm still around in 50 years so I can witness for myself how the manufacturing landscape will have evolved. I highly recommend Michael Zakim's book Ready-Made Democracy: A History of Men's Dress in the American Republic, 1760-1860. It explains how RTW suit production became so huge and efficient in the US. The man's suit was the commodity that that shaped our economy. I think Zakim spent more than 20 years researching the topic. His notes will point you to many other historical books, documents and essays regarding the subject. 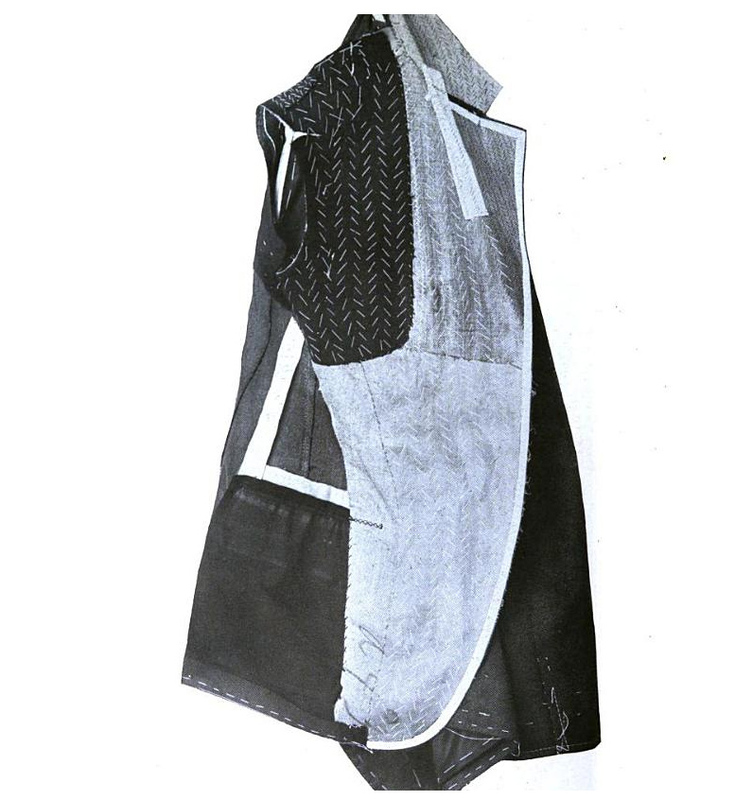 I'm also a fan of Martin Popkin's Manufacture of Men's Clothing from 1929. China won't be associated with quality unless they also stop making the crap sold at wal-mart. They may make some quality items but as long as it's the cheapest place in the world to manufacture goods, then it will always be associated with cheap goods. Thanks for pointing those out, Todd. Anonymous- China is no longer the cheapest place to manufacture- prices have been rising steadily and rapidly, so much so that the price-sensitive clothing manufacturers have been fleeing China to places like Vietnam, Bangladesh, and Indonesia. Besides, I'm talking long-term not short term. Dear Jeffery, you said you're "taking long-term"...and that's a good point but I feel like you should have added: "very" to your "long-term" talking. I am Italian and I live in Florence, hometown of Gucci, Pucci, Ferragamo, Scervino, Gherardini, etc. just to name a few long time standing fashion houses. My mom runs a small fashion firm which produces ready to wear items for women and she has to work with chinese workers because nowadays only big enterprises can afford italian workers. Believe me when I say that these chinese workers have no fashion culture, no handmade culture, no textile culture, they have no clue about what good taste or elegance is, absolutely no shoes culture, they are only good at doing what others (people like my mom who has been working in this industry since she was 15 and whose mom was already working in the same field) tell them exactly what they have to do (and sometimes they're not even good at it)...or at least they're good at imitating what they see. Talking about clothes no original idea is coming from the chinese market, and I bet none is going to come in the near future because actually it's out of their league. Thank you for raising some important points. First, since we are discussing a book that was written 100 years ago, and the changes which have happened since, I think the time frame in question should be somewhat evident. When you say that the Chinese have no handmade or textile culture, I would like to ask you who brought silk (some of it richly embroidered) to the burlap-wearing western world? I agree that much of what we see in post-cultural-revolution China is not the finest, it is unfair to say that they, as a culture, have no artistic tradition. It has merely been obscured for some time. However you do have a point that today they are better at executing than creating. I completely agree with you that the Italian culture has an aesthetic quite unparalleled in the world, but I do not think that it is necessary for the creators to be directly linked, geographically, to the place in which things are produced. Things can be designed in Italy (or France or the U.S.) and produced anywhere in the world now, and the astounding pace at which the Chinese have been investing in infrastructure and technology for producing goods, including good quality, leads one to believe that they are the future. Of production. And since we were talking about ready-made clothing, I don't think the handmade/custom sector has as much bearing to the discussion. China has been crawling with GFT technicians for years, Armani's chief technician left to take a contract in China. The big companies employ tens of thousands of people and some of their facilities put western ones to shame. It's really something you have to see to believe. Definitely an interesting read and discussion here...In reference to the passages on ready-made clothing, keep in mind that this was a government publication coming on the tail end of WWI and on the culmination of the Industrial Revolution. It could be seen as more a promotion of the American machine, and a reflection of the zeitgeist rather than an objective assessment of the quality of the garments themselves. Would be interesting to see if other contemporary sources have similar viewpoints. Separately, on the topic of China...I think I'm definitely with you on the long -term view. And I think we'll be surprised with the rapidity of change. Japan was the first Asian country to make a "flight to quality" (at least in western eyes, which is misleading considering the long history of attention to the intrinsic quality of most anything). Next to follow was Korea...and now China is definitely making serious investments everywhere. Cheap mass production is giving way to very serious technical investments, and a country that now produces new iphones on an 18 month cycle will have the tools to produce high quality clothing. The real question then becomes...how long until all of us in the western world recognize what's already going on over there. And what will our role be once the landscape changes? I do understand what you mean when you say: "things can be designed in Italy or France or the U.S. and produced anywhere in the world". The other China: Taiwan, has been producing technology items for years, even before the People's republic of China and even before South Korea because as communist China wasn't recognized at first, Taiwan was financed by the U.S. and the western countries, so it's not a big deal "producing everywhere in the world", because producing is not so hard to do when you have the money to buy new tools and machines especially if your government doesn't recognize its own citizens/workers the minimal human rights like the right to work 8 hours per day instead of 12 or more...(that's what happens in China and that's what happens in Italy with Chinese workers who work for less money than italian ones but keep working overnight, no rights guaranteed: a new kind of slavery which makes me want to boycott every made in china item). It doesn't really sound as a fair competition to me. Even if we're talking about ready to wear clothing and not about handmade or custom made items, I believe good quality is still a "condicio sine qua non" , and quite every fashion house in the world, may it be american such as "Band of Outsiders" or French such as "Yves Saint Laurent" or "Dior" or english such as "Paul Smith" or "Vivienne Westwood" or Italian...at least 80% of their items are still produced in Italy as you can read on their labels, because all the technology in the world still can't supply the know-how experience the western world has developed in more than a century. That's why you pay a lot for these made in italy items, you pay the artisans' work not just workers, you pay originality, not imitation, you pay high priced items because it's something quite unique, it's some kind of an investment not just a purchase. When Chinese people will get it, and will know how to use their technology then they may even be the best...but actually they're not even close to it, even though they made many steps forward. I didn't mean to say China doesn't have any artistic tradition, that's not what I meant! China has a rich history and culture, I simply think making good quality clothing is what they do best. I know about silk because it was Marco Polo, which was sent to China from the Venetian government, who brought silk in the western world...Chinese discovered how silk was made...it's totally true. It's very interesting discussing with you Jeffery, and with your other readers of course! "errata corrige": In the third line from the bottom I meant: "I simply think making good quality clothing is NOT what they do best"
I think this type of discussion is great! To AJ's point about this possibly being American propaganda, I just came across this passage in a British publication referring to the burgeoning MTM industry in 1920's Britain: "...He will tell you that the average American suit from the "peg" is better fitting and more generally satisfactory than any quasi-wholesale bespoke [of the type currently being produced in England]." American made tailored clothing is very high quality; what people generally buy are those made overseas in the third world. American ready-to-wear has taken a consider beating over the last half century. In all honesty, ready to wear clothing is an American invention--Cotton from the South and Wool from throughout the country was shipped to Northeast, where it was fashioned into garments. The men's clothing industry was the largest industry in the US for parts of the 19th Century. It is also true that the PRC, whilst not as cheap as some of its South East Asia, has the political stability (at least for now, although if we are looking longterm, their must be MAJOR changes for the Communist Party to remain in power, and not be deposed, as in Eastern Europe 1989), as well as the crops and plants to collect and process cotton, wool, etc.., and given the fact that transportation often costs more than labor and material (given low wages v. the price of oil), makes China the best option for now. However, if energy gets cheaper (more oil found, great use of alternatives, etc...) or the price of labor gets much higher (a recent protest in Japanese owned automobile plants resulted in a wage increase from approximately $200 to $300), or the yaun is allowed to float (which would increase its value, as the Party attempt to keep the yaun cheap on currency markets, or political upheaval/instability picks up (a result of the long standing and growing regional and ethnic tensions, wealth distribution (the East of China is a modern area, the West is incredibly poor and cut off), the advantages of Chinese manufacturing disappear. Read Jared Diamonds "Guns Germs and Steel" and "Collapse" for a good look at the historical ebbing and flowing of the ancient cultures of the world and their contribution to technological innovation. It's all cyclical. I love this topic and the conversation is so alive. I like the coat that you have here. Today, this is considered as hip and stylish. Anyway, with regards to the quality of a garment, some people today do not care where it is made, or what brand it wears. Rather, they look at the aspects of design and comfort. Sometimes people go for cheaper but stylish clothes, like those that are made in Italy. Today, it is all based on how a person wears it. Do you have an idea of which US factories are making suits or know of a directory for such things? China are only the future of production because they have the multitudes who are willing to work in poor conditions for peanuts. In regard to the poster from Florence, I hear there is a big debate about the influx of chinese workers in Florence. How can anything made in Firenze be considered an Italian made product? Basically, instead of outsourcing to China, they are importing the chinese workers to churn out stuff with 'Made in Italy' on it. So impressive blog! I read it and can't deny facts you explained here. Good one!